The stomach bug has entered my home and it needs to LEAVE!!!! Oh my gosh, the amount of laundry I am doing.. I'm surprised my washer and dryer aren't yelling at me yet. If its not one kid, its the other not feeling well. Isn't it great how they take turns and then when you've officially had enough, they start getting sick at the same time. Let me tell you, Purex plus Clorox 2 has saved me from those nasty stains that come along with getting sick all over yourself! Purex plus Clorox 2 detergent combines the bright clean of Purex with an extra powerful boost of Clorox 2 stain fighters. You have all seen Cooper. That kid is a walking mess! I swear he keeps food in his cheeks, just to be released at the most opportune time. Time to let it dribble down my chin and all over my white shirt. Why do I buy him white shirts? You'd think since I'm a mom, I would have learned by now. Yet I continue to put those white shirts right over his handsome little body! Removes starchy stains like chocolate and tomato sauce. Removes protein-based stains like grass and blood. Removes food stains that use guar gum like ice cream and BBQ sauce. This detergent is perfect for my family. I mentioned how mess Cooper is. Well, I should be totally honest here. He didn't come up with being messy all by himself. Like Mother, like son, right? There isn't usually a meal where we have red sauce that they sauce doesn't end up either on my shirt on somewhere on my pants. I am a mess, let me tell you. With a little help from Purex plus Clorox 2, I can hide a little of that mess from the world! I can be all a mess but when a child gets sick on their favorite toy, Mom needs to snap into action and clean up said toy! As you see here, Stitch is a little matted down, fresh out of the washer. Allyson got sick on him (on accident of course), so he got to cause trouble inside the washer a bit. Thank goodness for Purex because now he is clean and smells great too! Want to try the new Purex plus Clorox 2? Simply comment below with your favorite laundry scent and your email! I'll pick a lucky winner to receive a coupon in the mail! Giveaway will end 6/1. Winner will be emailed and will have 48 hours to claim their prize. This review is based strictly on my own opinion. Others may have different opinions or experiences with the products mentioned above. I was provided samples free of charge by the company or a PR Agency. I have provided my open and honest opinions. My favorite laundry scent is Simply Clean and Fresh or Fruity Scents! I would love to try the new Purex plus Clorox 2! 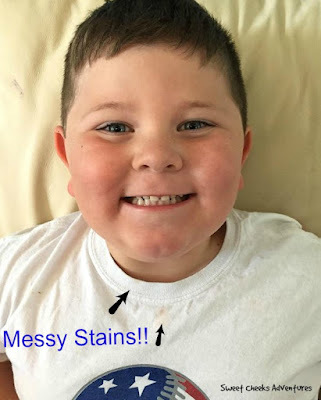 Being a mom to 8 there is always some kind of stain! Thanks so much for the awesome giveaway! My favorite is Purex free and Clear! I love the lavender scent. I usually just buy whatever is on sale! My favorite has been the Purex Natural Elements Tropical Splash, but I have not been able to find it recently. I think I would love the Sunny Linen! I need a new favorite scent. 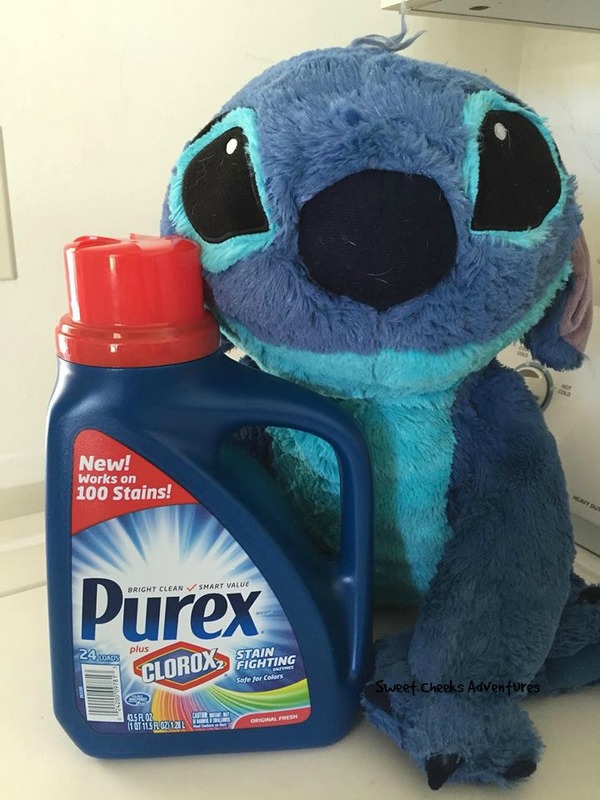 :) I love how this works on so many different stains! A little miracle worker! I like spring fresh type scented laundry detergent. My favorite scent is Wisk's deep clean fragrance. But I'd love to have a gardenia scented laundry detergent. oh, sorry, dawnkeenan at mchsi dot com is my email. I like the Purex Mountain Breeze scent a lot.